The new issue of Montana Quarterly is out and inside is a nice piece on Pony, Montana, written by Jeff Hull. 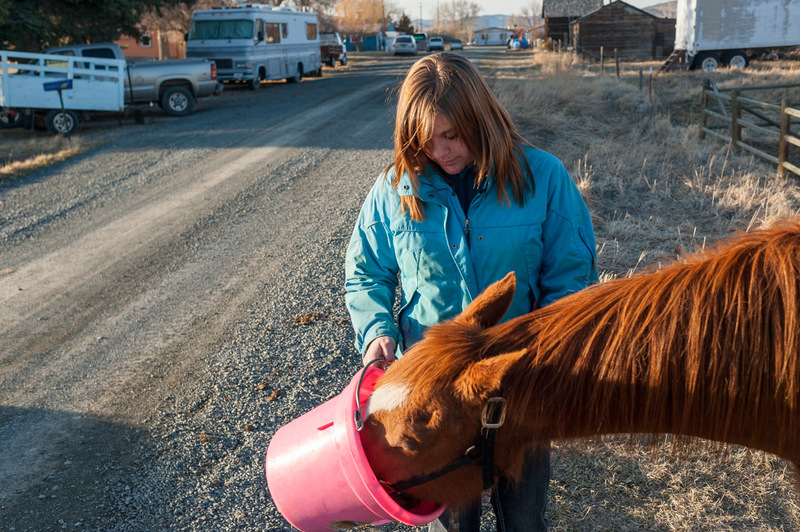 When I photographed the story, I lumped Harrison in with Pony, since they’re only seven miles apart. 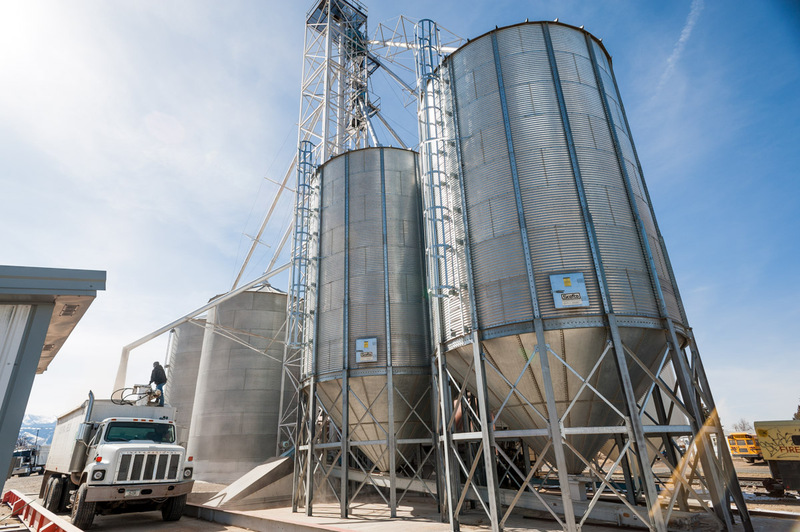 Locals say including Norris makes “The Tri-City Area.” I didn’t find much in Norris to shoot. 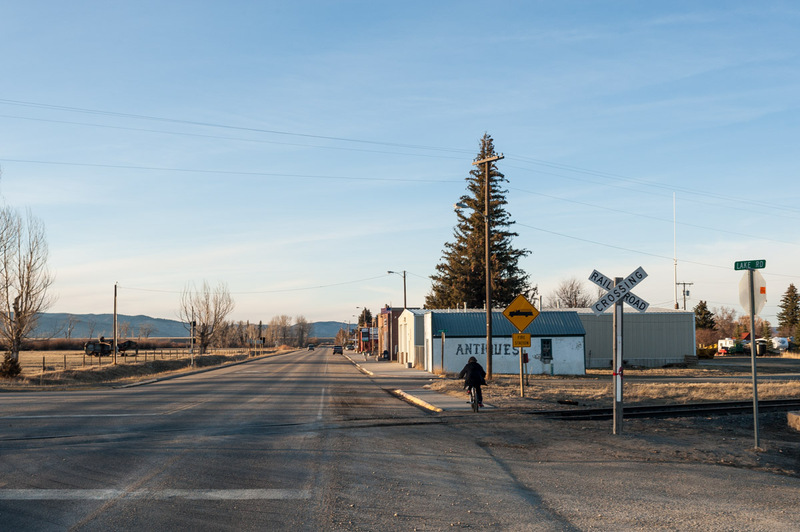 The towns of Pony and Harrison are just seven miles apart, built on the eastern slope of the Tobacco Root Mountains. Though they have about the same population, Pony is an old mining town built right into the side of the Tobacco Roots. Harrison has the more agricultural feel, with one side of its main street being pasture. 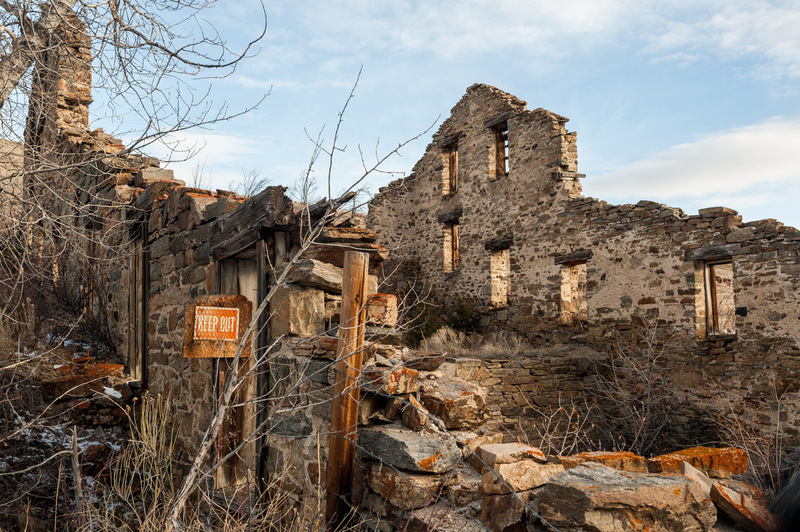 Pony’s mining history is evidenced by the ruins of the Elling-Morris Mill, built in 1883, which pounded gold-bearing quartz into fine sand, extracted the gold particles and sent them to a nearby smelter. The mill ran periodically until about 1926. Now Pony is mostly known as a quiet, retiring community. 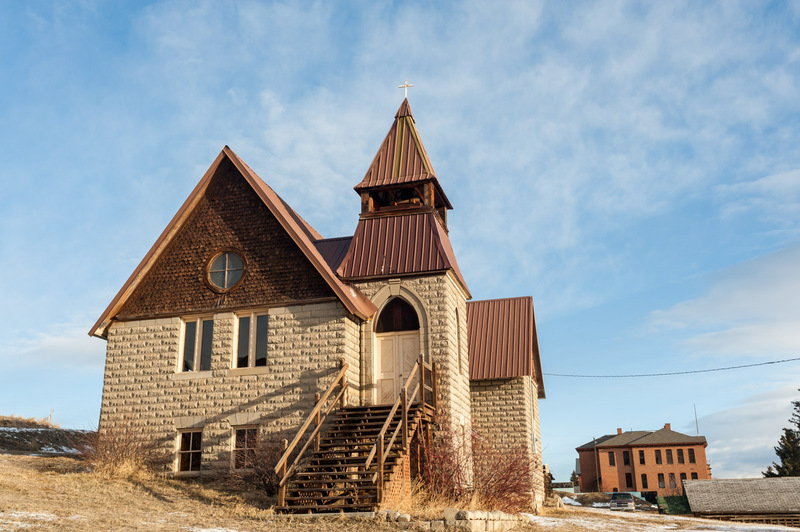 Though not the booming mine town it once was, it still boasts a couple of active churches and an old school it uses as a community events center. And a rather famous bar, written about by poet Richard Hugo, that doubles as a community center. 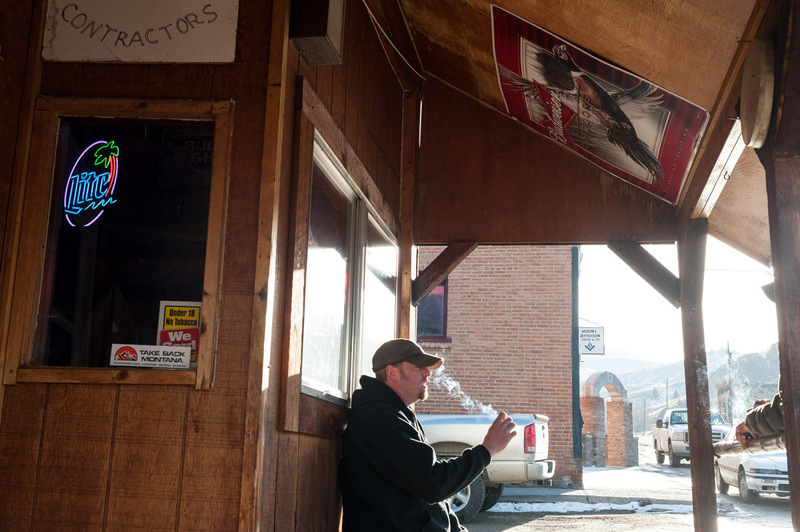 Here Seth Bauer, 34, speaks with a friend outside the Pony Bar. Bauer describes Pony as a close-knit, friendly, look-out-for-one-another kind of place. Daryl DeFrance, 68, was one of two members of the last eighth-grade class to graduate from the Pony school. The school closed the following year, in 1958. 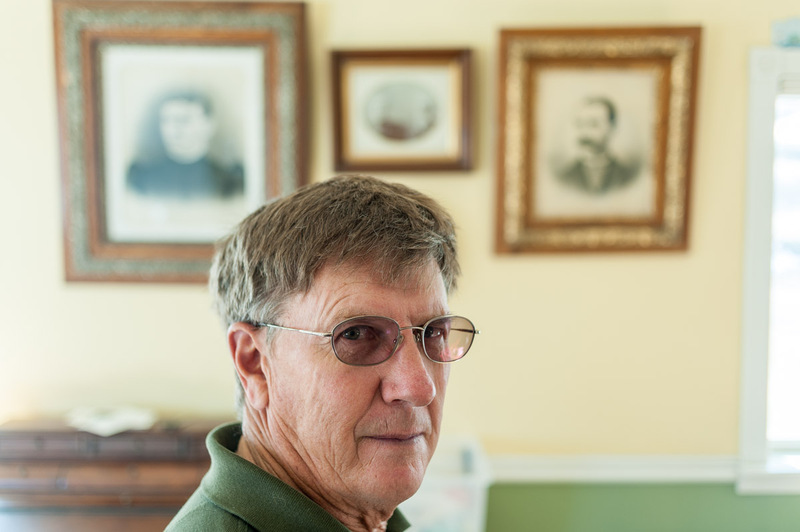 De France says he is now the fourth generation of his family to live in Pony, following his great-grandfather James DeFrance, who homesteaded in the area in the latter half of the 19th century. 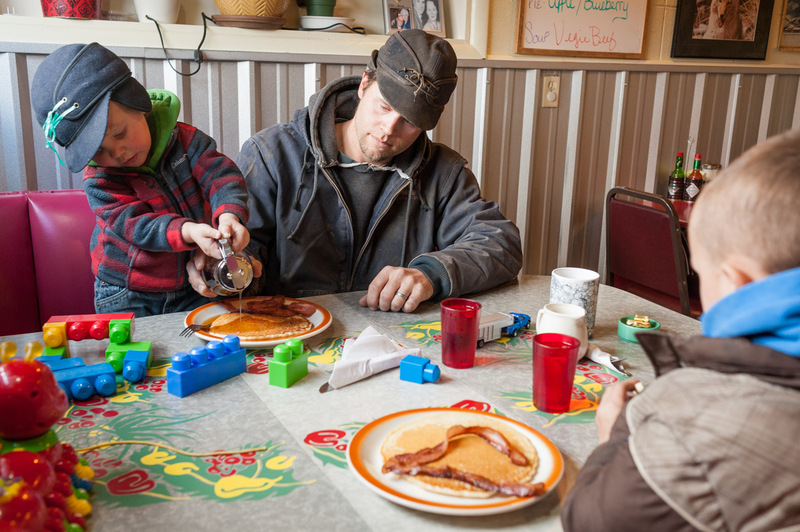 Tucker Edmundson, 29, and his two sons, Cormack, 2, and Cutler, 5, come to breakfast every morning at the Town Haul Diner in Harrison, owned by Tucker’s mom. Tucker says he grew up in Harrison, earned an engineering degree, and then came back to run the family ranch with his dad. 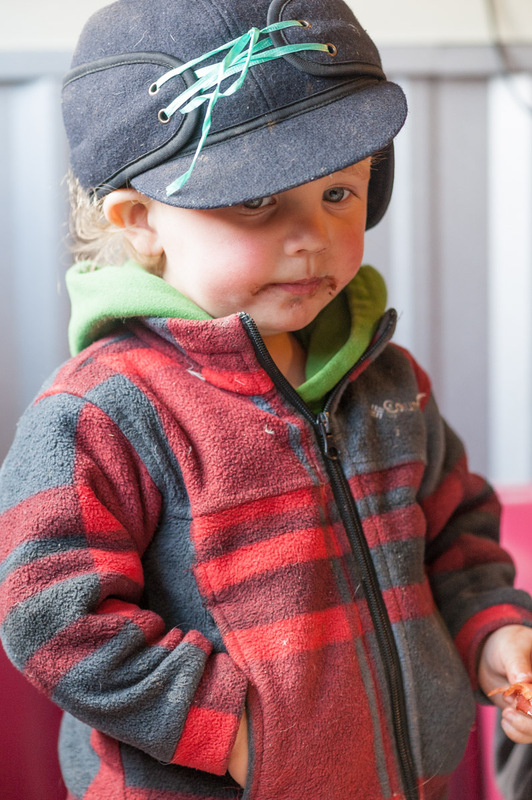 Two-year-old Cormack Edmundson thoughtfully eats a piece of bacon. 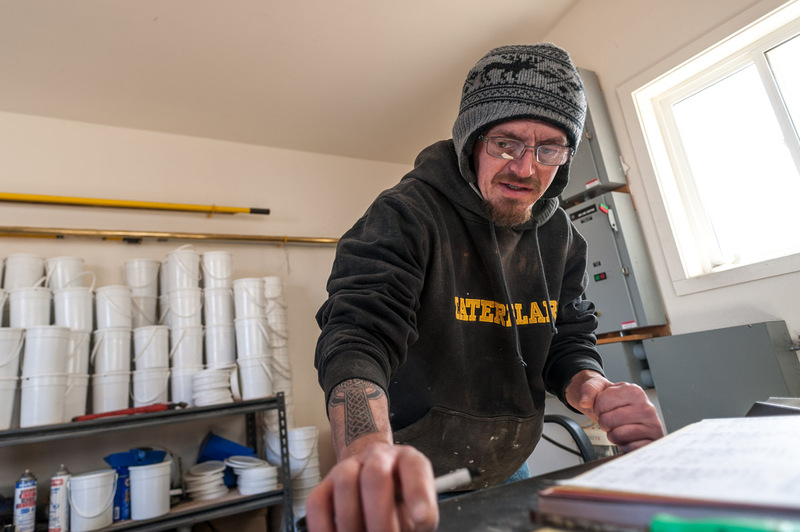 With a dad trained as an engineer, a mom working on a teaching degree, and a new baby brother or sister due to arrive in a couple of weeks, plans are for Cormack and his siblings to grow up on the family ranch nearby. 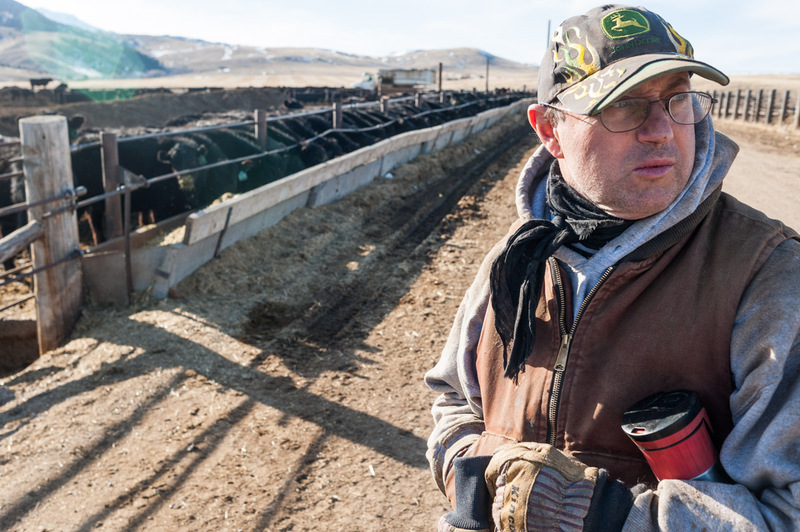 “I live in the center of the tri-city area.” says Bob Sitz, whose ranch is equidistant from Pony, Harrison and Norris. 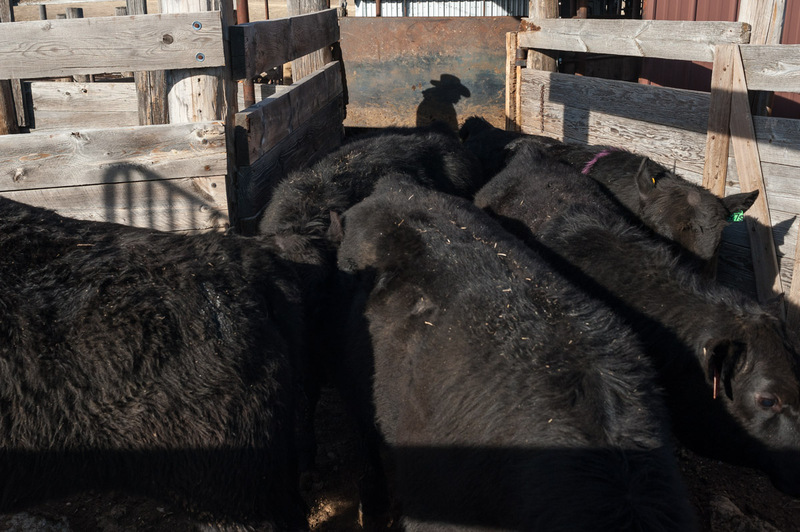 Sitz says he raises Black Angus bulls and heifers for breeding, making the Sitz Ranch one of the top 10 Angus seed stock producers in the country. A group of bulls is rounded up for “some doctoring” by Chris Madrid at the Sitz Ranch. 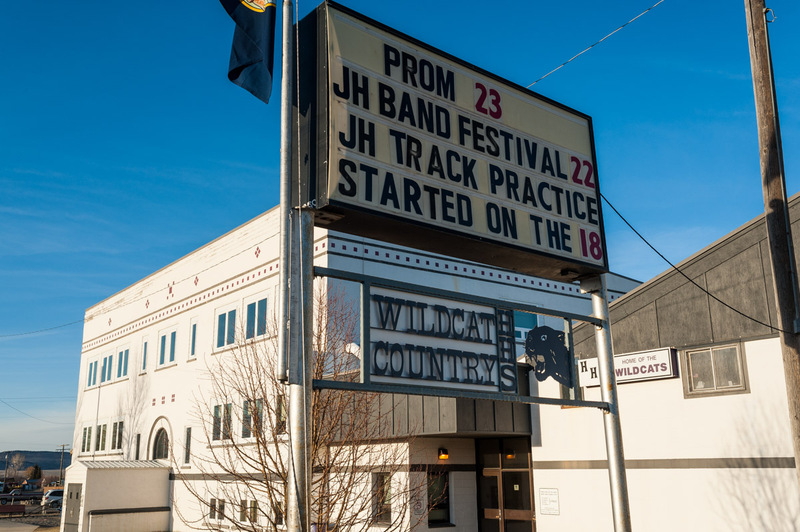 The Harrison school serves Harrison, Pony and Norris, and draws students from as far away as Ennis and Three Forks, but enrollment is still shrinking. Sophomre Megan Skillman says just nine students are in her class. Megan Skillman feeds grain to her horse Kit Kat, whom she rides in barrel racing and pole bending events during high school rodeo season. Livestock abounds within Harrison’s city limits. Skillman says she lives down the street from the neighbor kind enough to let her keep her horses at his place. She says it’s not at all strange to be able to keep your horses in town. My Mother (Nell Tinsley Grant) Rogers/Ruble was born to Peter Grant and Fanny Grant on October 1st 1909.I would appreciate any and all information on the GRANT FAMILY and GRANT RANCH just outside Pony. I’m sorry, Bruce. I don’t know anything about your mother’s family or their ranch. Sounds like a great story, though. Perhaps this information might help. The GRANT RANCH was Sold to Marvin BROOKS in the 1940s or early 1950s.and later ( I believe) to the Cambell Soup Company). I remember going out to the old Ranch house with my Mom in1950s during the PONY REUNIONS . She went to school in Pony in the early 1915-1922 time frame and then High school in Dillon (I think) and Nursing School in Helena @ St. Peters Hospital in 1927-1930. One of my 3 Cousins is (ZEKE GRANTS DAUGHTER) Ramona (GRANT) EDWARDS. (I Believe) still lives there in the PONY area. My other 2 of 3 cousins (RUTH (GRANT) CARSON) Daughter Helen (Carson) Turcotte lives in Townsend Mt. and Son Pete Carson lives in Wolf Creek Mt. The GRANT FAMILY Plot at the Pony cemetery is where my Grandfather /Grandmother and 1 Aunt (Ruth) and Uncles (Frank and Zeke) are buried. 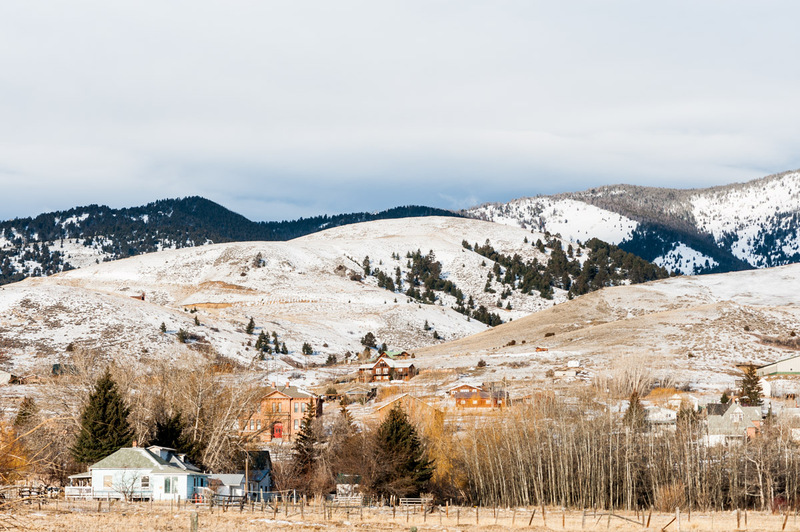 My Grandfather had one of the largest ranches near Pony Montana . His Name was Peter Grant and my Grandmother name was Fanny Fergerson. My Mother Nell Tinsley Grant (Rogers)(Ruble)was born on the ranch .